"PROUD TO BE AFRICAN" IS THE TITLE OF A BREATHTAKING SONG PRODUCED BY AUDIO ONE RECORDS WITH THE COLLABORATION OF A GROUP OF UGANDAN ARTISTS. Myko Ouma, Rachaeal Namubiru, Woods, Zizza Bafana, Patricia Basemera, Myco Holy, Aziz Azion, Jackie Chandiru, Jamal, Dr Jose Chameleone and Kwezi Godfrey are all Ugandan artists who dedicated their efforts to create this new African Anthem. African Music Television has awarded "Proud to be African" as the most outstanding, uplifting and vibrant hit single of the year 2012. 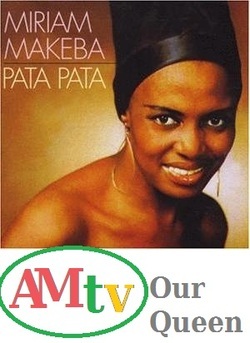 African Music Television (AMtv) is your number one source for all latest developments in entertainment, culture and economic activities in African communities across the globe. Besides that, our main goal is to sponsor a positive Africa in order to empower our youths to better understand their heritage. Our network is an independent media group with a strive to succeed . People who are willing and ready to travel and experience Africa are invited to join our club. Our company (AMtV) will prove to you that, Africa is a rich and vibrant continent with a diversity of cultures and people who are ambitious and hard working. You can search all our interesting links on the upper left corner of this page and you will be amazed of how much Africa has to offer. "We live by the moment so challenge yourself to be more everyday and remember this, only you can allow others to make you feel low about yourself. At the end of everything, Africa shall be number one again". A quotation by King Tita Alomepe. WE LOVE AFRICA!!!!!!!!!!!!!!!!!!!!!! !